From the biggest national names in craft beer to smaller local breweries, you'll get a chance to taste some of the best brews in Australia at the Beer 'N' Burger Fest this Saturday. We'll have Mountain Goat and Cricketer's Arms ice cold and on tap, alongside Perth's Gage Roads Brewing Co, Sydney's Nomad Brewing Co and Black Hops Brewing from the Gold Coast. Of course, some local favourites like Barrier Reef Brewing and Hemingways Brewery will also be on offer. Not into beer? No problem! There'll be plenty of ciders, wine, spirits, a beautiful ginger beer, and non-alcoholic drinks available as well. The event at Watson's Oval, home of the North Cairns Tigers on McNamara St, will also feature local burger makers, live music performances and DJ tunes, kid's activities and more. Don't forget to grab your VIP ticket here, and check out all the info you need to know in our Ultimate Guide to the Beer 'N' Burger Fest here. Bel Stevenson from the Bungalow Hotel, home of the biggest and best selection of craft beer in Cairns, has been passionate about craft beer and brewing for years, and currently stocks nearly 200 different craft beers at the hotel. Bel has helped curate some of the beers available at the event and will be on hand to provide tastings and answer any craft beer questions, alongside Nick from Experience It Beverages, one of Australia's best independent craft beer distributors. The Bungalow Hotel is home to the largest selection of craft beer in Cairns. Bel said she had noticed a shift in the drinking habits of Cairns locals ever since the Bungalow Hotel began introducing craft beers to its takeaway bottle shop about 18 months ago. "Cairns drinkers are definitely changing how, when and what they purchase," Bel said. "There is a definite ‘drink quality over quantity’ shift happening. Like food, people want to know where their beer is coming from. They are also starting to plan their meals around what they're drinking and selecting food to match their beers, much like wine. 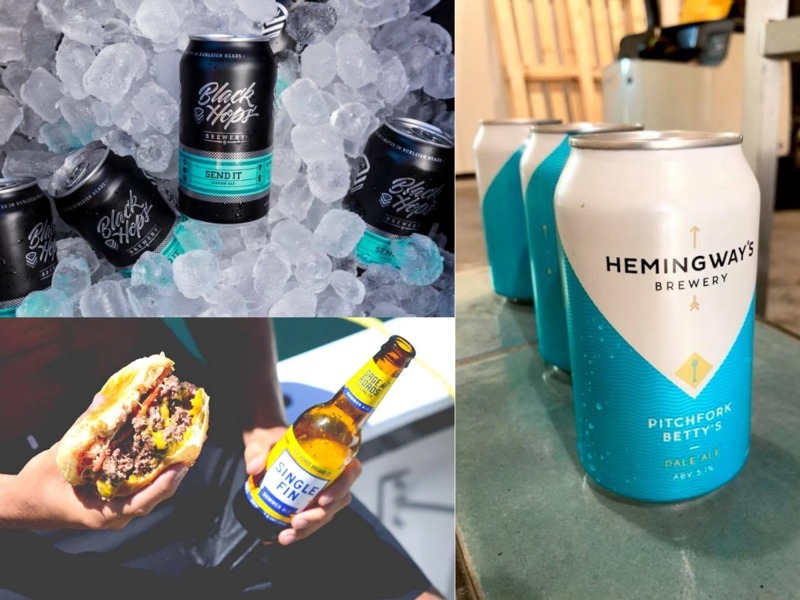 "At the Beer 'N' Burger Fest, Nick from Experience It Beverages and I are excited to be on-hand to answer crafty questions and offering customers ‘try before you buy’ tastings for the packaged beers that are available for purchase on the day."